Looking for a safe, non-toxic, and gentle face moisturizer, but don’t know which organic products are legitimate? Need a hydrating organic facial moisturizer for the dry winter months that actually works? Just want to drool over pretty pictures of skin care products for fun? Either way, you’ve come to the right place! The term “organic” means a lot of things to a lot of people. Organic simply means something that is grown without genetic modification, pesticides, chemical fertilizers + solvents, dyes, sewage sludge, or ionizing radiation. Just because something is organic doesn’t necessarily mean that it is safe. 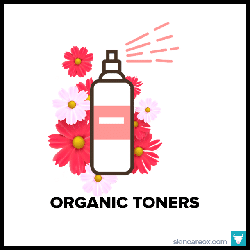 In reality, very few skin care products contain 100% organic ingredients (even USDA certified organic products can contain as little as 95% organic material). Additionally, a product can market itself as “organic” while only containing a tiny amount of organically grown ingredients + a lot of cheap fillers. With so much ambiguity, it is important to carefully research the claims, ingredients, and companies behind each organic product—and that’s what we’ve done for this article! We’ve researched hundreds of products to bring you this ultimate list of face moisturizers. 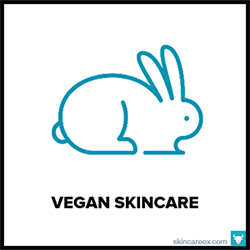 All organic moisturizers on this list are made by reputable skin care brands, contain effective natural + organic ingredients, have a strong history of satisfied customer reviews, and are free from toxic chemicals like Parabens, Phthalates, Sulfates, PEG compounds, Petrochemicals & Mineral Oils, Synthetic fragrances + colors, and Ethoxylated Ingredients (these chemicals aren’t beneficial for the skin and some have been linked to serious illnesses). We also selected SPF moisturizers which use non-nano compounds for sunscreen protection. 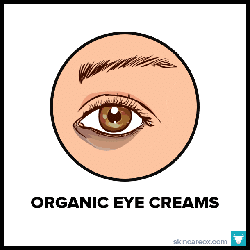 Determining the best organic moisturizer for your face will depend upon your skin type and condition. Dry skin types should look for ingredients like rich organic oils (like coconut, avocado, argan, and olive oil), antioxidants, and hyaluronic acid (a powerful humectant that pulls moisture from the air into the skin). Those with oily skin will benefit from oil-free moisturizers, or moisturizers which contain ingredients like clay (absorbs oil) or oil-balancing oils like jojoba, grapeseed, sunflower, and carrot seed oil. Your skin is unique, so be sure to read the reviews and ingredients for each organic moisturizer carefully to find the best one for your particular skin needs. 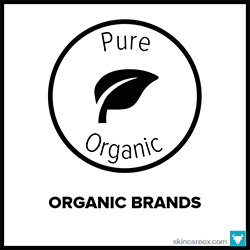 Need help choosing the best organic skin care products for your skin type? Then, check out our Ox Box! Get a box filled with curated premium organic skin care products tailored for your specific skin type and skin conditions. Christina Moss Naturals makes one of the best all-around organic face moisturizers on the market. This affordable moisturizer is lightly licorice-scented, non-comedogenic (won't clog pores), hypoallergenic, intensely hydrating, and packed with delicious certified organic ingredients. It's gentle enough for all skin types and especially recommended for those with acne-prone or problematic skin. Avalon Organic's Intense Defense moisturizers are designed to protect your skin from daily UV rays and sun damage. This oil-free formula features a mega dose of Vitamin C and organic antioxidants (like white tea, lemon, and olive oil) to fight free radicals and reverse premature signs of aging. Online reviews rave that this organic moisturizer is as effective as pricier luxury skin care products. This formula should be called "everything and the kitchen sink" because it contains just about every natural anti-aging ingredient available. Some wrinkle-fighting ingredients include rosehip oil, pumpkin seed oil, carrot seed oil, pomegranate oil, black cumin oil, acai berries, buriti oil, frankincense, green tea, and rose petals...just to name a few! The oil is luscious and absorbs effortlessly. A nice lightweight moisturizer that provides protection against the elements. This moisturizer goes on incredibly light, but still manages to provide all-day hydration for normal skin (may be too lightweight for very dry skin types). It has a silky consistency that works perfectly as a makeup primer. Key organic ingredients include hydrating algae, shea butter, avocado oil, macadamia seed oil, chamomile, and lavender oil. Trilogy's organic rosehip seed oil is a simple daily moisturizer that can dramatically change the health of your skin. Rosehip seed oil is non-greasy, absorbs quickly, and balances our skin's natural oil production--making it a great choice for oily skin types. It's packed with vitamin C and essential fatty acids which are ideal natural remedies for hyperpigmentation, dry skin, and fine lines. This is a great anti-aging face moisturizer from luxury organic skin care brand, Juice Beauty. It combines Juice Beauty's is proprietary organic fruit stem cell blend with a healthy dose of powerful antioxidants like resveratrol, linseed oil, and jojoba oil which all help to nourish, tighten, and gently exfoliate mature skin. Best for mature skin types and diminishing fine lines and wrinkles. Made with ingredients like 2.5% active Retinol (helps to boost collagen production and reduces the appearance of fine lines), hyaluronic acid (helps your skin to attract and retain moisture), aloe vera, and antioxidant rich green tea, this affordable organic face moisturizer really packs an anti-aging punch. Best for nighttime use as retinol may increase your skin's sensitivity to sunlight. An affordable everyday organic facial cream from beloved skin care brand, Nourish Organic! This USDA certified organic moisturizer is surprisingly hydrating considering its light consistency. 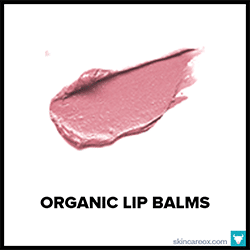 It features non-irritating organic ingredients like argan oil, pomegranate, acai berries, aloe vera, and shea butter. It is also fragrance free, making it a great choice for acne-prone and sensitive skin. This organic tinted moisturizer offers color-correcting, anti-aging, moisturizing, and non-nano SPF 30 sun protecting properties! It contains potent antioxidant ingredients (like resveratrol and Juice Beauty's proprietary fruit stem cell blend), provides intense hydration (from jojoba oil, aloe, and sunflower oil), and comes in five shades. A great multi-tasking beauty product for mature skin. A fantastic anti-aging organic face moisturizer for sensitive and dry skin types. This Eminence fan favorite uses botanically sourced hyaluronic acid (attracts and retains moisture) and a yummy blend of organic juices from acai berries, blueberries, and raspberries to firm your skin and reduce the appearance of fine line and wrinkles. It's a lightweight non-greasy cream that's great for daily use. A solid organic moisturizer for dry skin at an affordable price! This cream is non-greasy and absorbs easily into the skin; however, it's rich enough to quench even severely dry skin. The two star ingredients of this moisturizer are gotu kola (antibacterial + firms skin tone) and chlorella (packed with vitamins and omega fatty acids), which work in unison to hydrate and repair dehydrated skin. The mantra of SW Basics is simple and effective organic products. This flagship face cream is a heavy duty daily moisturizer for severely dry skin. It’s ultra-rich and features only three ingredients (shea butter, coconut oil, and olive oil); however, each ingredient has super healing powers against dry, flaky, and chapped skin. A worthwhile treatment for stubborn dryness and winter skin. A daily organic face moisturizer with SPF 30. This moisturizer dramatically brightens skin tone, lightens dark spots, and reduces redness with organic bearberry extract, Eminence's proprietary GigaWhite blend, a natural hydroquinone alternative, and stone crop. Great for reversing sun damage and providing daily protection from future damage. This is truly an ideal moisturizer for all skin types. Packed with luxurious ingredients like organic immortelle, organic palmarosa, organic sandalwood, and rose petals, this organic moisturizer from Earth Tu Face is designed to intensely quench and repair dry skin. It's a super-rich balm that is perfect for maintaining moisture throughout the cold winter months. It's a pricey date, but a little goes a long way. Gentle enough for sensitive skin types. A simply luxurious organic sunscreen formula that feels more like a moisturizer than a sunscreen. This broad spectrum SPF 28 (17% non-nano zinc oxide) sunscreen is made with a nice blend of moisturizing organic + natural ingredients like avocado oil, jojoba oil, beeswax, macadamia nut seed oil, plum seed oil, and red raspberry seed oil. As a makeup base, just mix a few pumps of this sunscreen into your liquid foundation and apply as usual. This delicious organic tinted moisturizer comes in 9 shades ranging from very fair to deep cocoa skin tones. The beautiful shades are achieved by using real fruit and vegetable pigments which melt seamlessly into your skin for light + smooth coverage. It also contains organic white tea, acai oil, pomegranate oil, and tons of antioxidants to hydrate and nourish the skin. Great for all skin types! Sanre's USDA certified organic facial moisturizer is available in SPF 30 and non-SPF versions. This SPF 30 version uses natural zinc oxide + titanium dioxide for sun protection. The remaining ingredients are 100% organic oils like safflower, coconut, rosemary, thyme, sweet orange, and coconut. While this is a non-greasy cream, it is very rich and not suited for oily and acne-prone skin. This intensely hydrating anti-aging organic facial serum from Nourish Organic is made from 100% organic ingredients. USDA certified organic ingredients like evening primrose oil, argan oil, jasmine flower, and pomegranate seed oil work to promote cell turnover and stimulate collagen production while you sleep. It uses heavy oils like avocado, so it's best used at night for normal + dry skin types. Eminence's tinted organic moisturizers offer smooth, light, and non-greasy coverage in two shades: vanilla latte (fair to light skin tones) and caramel latte (medium to dark skin tones). More than just makeup, this tinted SPF moisturizer contains shea butter, aloe, and jojoba oil to provide all-day hydration and sun-protection. Non-greasy and perfect for oily, sensitive, and acne prone skin types. This organic facial moisturizer combines natural ingredients for sun protection with organic ingredients for all day hydration. It features non-nano Zinc Oxide (SPF 15), as well as organic olive oil, sweet orange oil, sage herb, and bergamot. All ingredients are non-comedogenic and should work well with acne-prone skin. Available in translucent or tinted (light ivory, medium beige, or dark honey). This super rich and hydrating organic moisturizer is a luxurious treat for dry, mature, and sensitive skin types. The star multi-vitamins in this cream are vitamin C, D, E, and vitamin A (retinol); however, it also contains potent organic ingredients like seabuckthorn, reishi mushroom, and primrose. Best used as a night treatment because retinol can increase your skin's sensitivity to sunlight. This beautiful and light organic tinted moisturizer from Sanre is available in two shades: light and medium. Fans of this product routinely use it as both their moisturizer + foundation because it provides great coverage as well as all-day hydration. Star ingredients include organic aloe vera gel, organic safflower oil, organic anti-inflammatory hyssop oil, and organic patchouli essential oil. Another great organic tinted moisturizer from 100% Pure! This BB Cream comes in three shades and provides non-nano SPF 15 sun protection. It provides full to medium coverage (more than a typical tinted moisturizer) while still maintaining a natural glow. Some star ingredients include organic aloe vera juice, rosemary, cherry seed oil, lavender oil, and sunflower seed oil. Great for all skin types. Night moisturizers are typically richer and more hydrating creams than day creams. Night creams are great facial treatments for winter months and for those with dry skin. This Restorative Night Cream is a solid organic moisturizer made with 100% natural and USDA certified organic ingredients. It's fragrance free and made with organic aloe, argan oil, evening primrose oil, jasmine, and shea butter. An ultra-rich and luxurious organic moisturizer is almost entirely made from certified organic ingredients like Bulgarian rose, rosehip seed oil, neroli, olive oil, and honey. These ingredients are packed with antioxidants and essential fatty acids--making them quite effective at hydrating and repairing dry, mature, and sun damaged skin. This is a rich cream not recommended for oily skin types. A perfectly gentle organic moisturizer for those with stubborn skin conditions such as rosacea, irritation, eczema, and psoriasis. Soapwalla specializes in completely clean, non-irritating, food-grade organic products for the extremely sensitive skin. This restorative face serum contains organic jojoba, sunflower, grapeseed, rosehip seed, carrot seed, evening primrose, and apricot kernel oil. This luxury organic serum is designed to be a lightweight daily moisturizer for those with overactive, problematic, and oily skin types. Potent oil fighting ingredients like black cumin seed oil are combined with calming compounds like olive squalene, safflower oil, and rosehip seed oil to balance and calm the skin. This totally clean formula by Osmia is made from 40% certified organic ingredients. Ranked highly by the Environmental Working Group for using safe, non-irritating, and non-toxic ingredients, this luxury organic moisturizer from Mukti Organics checks all of the boxes. 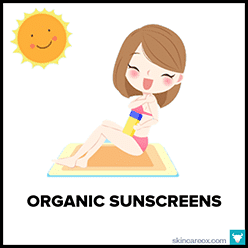 It contains 77% certified organic ingredients, uses non-nano zinc oxide for SPF 15 protection, offers beautiful tinted coverage, and is gentle enough for all skin types. Great for anyone seeking light daily coverage. If you love using pure coconut oil on your face, then you'll love this insanely pure Cocovit organic Coconut Oil. Cocovit's coconut oil is 100% raw, pure, and organic (no preservatives, chemical solvents, or high heat processing). Pure coconut oil can be very moisturizing on its own, but it can also cause clogged pores for some skin types. Start by testing the oil on a small patch on your face. A highly reviewed organic daily moisturizer made from 100% natural and 59% certified organic ingredients. This organic moisturizer particularly great for those with highly sensitive, dry, problematic, and acne-prone skin types because it’s packed with anti-inflammatory compounds like calendula, borage seed oil, and aloe vera juice. It has a rich + creamy texture and absorbs easily. Great for winter skin. This is a totally non-toxic and non-nano organic moisturizer with SPF 20 that is a perfect fit for all skin types. It is non-comedogenic and specifically formulated for delicate facial skin. Unlike other SPF creams, this absorbs effortlessly. Online reviews from across the web rave about this product's non-greasy texture, affordable price, and non-irritating formula which allows for daily wear. This Bulgarian rose oil-based organic face moisturizer is USDA certified organic and gentle enough for all skin types. The key ingredients of this product are organic rose oil (stimulates collagen production + anti-aging), organic shea butter (repairs + hydrates), organic chia oil (anti-inflammatory), and organic calendula flower (antiseptic + anti-inflammatory). Great at balancing oily skin types. This non-nano zinc, non-whitening, and essential oil free SPF 30 organic moisturizer is ideal for sensitive skin types. 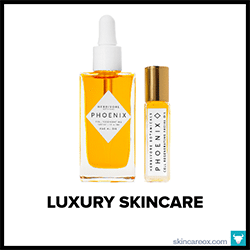 The other ingredients include sun protective and skin restorative tamanu oil, sunflower oil, probiotics, sea algae, pumpkin seed oil, pomegranate extract, and aloe vera. So, your skin will be both protected from future sun damage and restored from old. Great for all skin types. 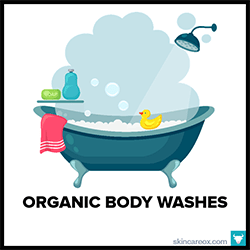 27 BEST ORGANIC BODY WASHES & ORGANIC SOAP BARSThe very best natural + organic body washes and soap bars which contain zero toxic ingredients.